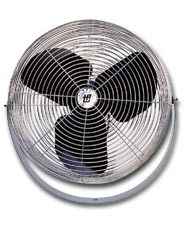 Fan head rotates 360Â° in both the horizontal and vertical direction to deliver air flow to any spot in the room. Medium CFM Low AMPS High Wt. (lbs.) Price Ea.